Nationwide allotments this year for the NIH resulted in 21,127 separate awards, an amount that totaled $8,462,380,977. Of all the states listed, California received the most awards at 3,075. Massachusetts came in second at 2,057 awards; a difference of 1,018 awards. 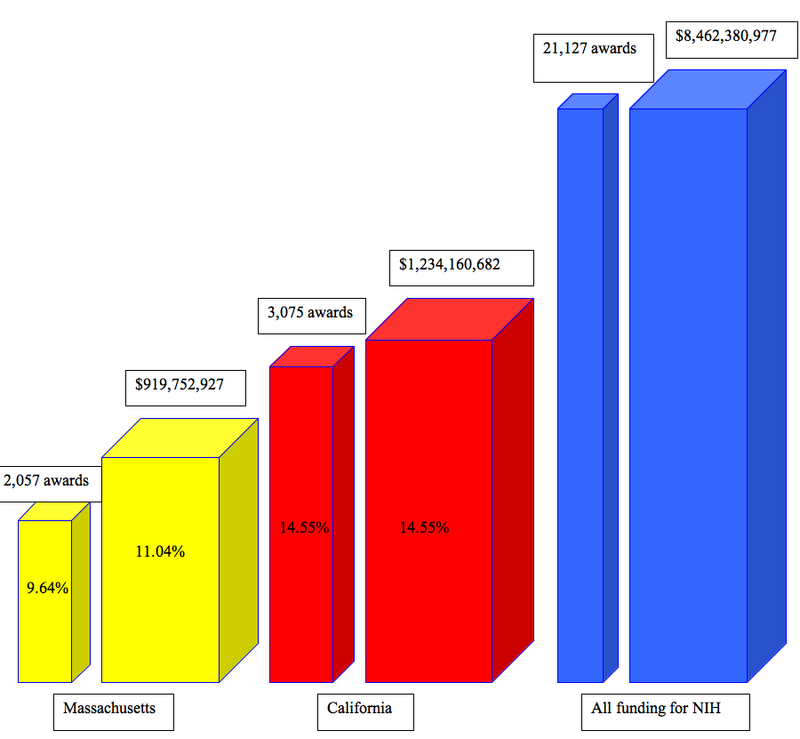 Total funding for California comes to $1,234,160,682 and Massachusetts comes to $919, 752,927. 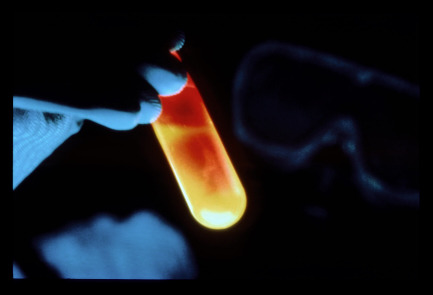 California received, overall 14.55 % of total awards from the NIH, and 14.15% total funding for 2012 Fiscal year. Graph courtesy of Alisa Garza at Biotechnology Calendar, Inc. Within California, the funds are further split amongst the states congressional districts and the awards are allotted to multiple organizations within that district. UNIVERSITY OF CALIFORNIA SAN DIEGO receiving amounts equaling to $21,962,002. District 53 received 747 awards and funding totaled $324,177,937. District 53 received 24.3% of awards for all of California and 26.3% for monetary allotments. UCSD was among the top ten for funding in District 53 With grants that totaled $21,962,002. UNIVERSITY OF CALIFORNIA LOS ANGELES receiving the 10 highest amounts equaling to $32,989,790 worth of funding. District 30 received 415 awards and funding totaled $170,375,159. District 30 received 13.5% of awards in California and 13.8% of the funding. 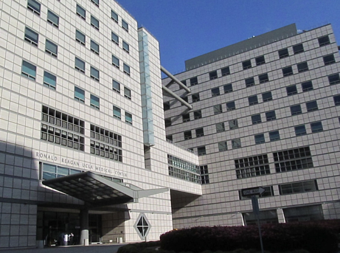 image of UCLA Medical Center courtesy of Biotechnology Calendar, Inc.